ubCore™, is the first and only driver suite that fully supports the 1394b standard. It is highly recommended by Texas Instruments as the ideal software companion for their 1394b chipset. Full 1394b support at 800Mbps. Support for future standard speeds (S1600 and S3200). Full 1394b CAT5 (100/400 Mbps) and POF (200 Mbps) support. Full 1394b GOF support at 800 Mbps speeds. Complete 1394a and 1394b SBP2 disk support. Complete support of 1394a and 1394b IIDC compliant cameras. Comprehensive set of tools and applications. Full Plug & Play support for Windows 2000/XP/2003-8 Server/Vista/7/8/10. Support for 64 bit Windows Operating Systems (AMD64 and Intel EM64t CPUs). Microsoft signed drivers for Windows Vista/7/8 32 bit and 64 bit. ubCore™ combined with FireAPI™ (Unibrain’s 1394 Development Toolkit), provides to the software developer a powerful set of functions and tools that enables him to integrate 1394 technology into his product. ubCore™ drivers come into 2 “flavors” (versions): ‘ubCore’ and ‘ubCore Pro‘. ubCore™ is oriented for end users who want to utilize the full Firewire-800 speed of their 1394b devices (webcams, firewire hard drives, networking) and it is available as a free download, while ubCore Pro™ is oriented for professional users and FireAPI™ SDK customers. ubCore Pro™ is not free; a FireAPI license is required for it’s full features and applications to be activated. The same license is also required so that applications developed with FireAPI SDK, will execute in runtime systems. Added: support for DAP Technology S1600 chipset, adapters and Sony S1600 cameras. Added: support for Windows 8, WHQL signed drivers for Windows 8. Added: support for the new Fire-i 550, Fire-i 850 1394a CMOS camera models. Added: option to save the frame buffer to a raw file (Fire-i Application). Added: Fire-i NET SDK library is now merged into ubCore installation. Fixed: SBP2 driver power management issues on Win8 (sbp2.sys). Fixed: Saving frames in Tiff16 format, the info was truncated to 8-bit (Fire-iApplication). Fixed: Changing packet size in Format7, is not updated on the camera (Fire-iX, Fire-i.NET). Fixed: Hardware license may not be recognized on some FireBoardBlue_e adapters (ubohci.sys). Fixed: Rare crash when using many small isochronous requests on fast systems (ubohci.sys). Firenet networking driver removed from ubCore runtime, not supported anymore. Added support for choosing jpeg quality level when saving frames (Fire-i application). Added trigger parameter set box, in the trigger dialog (Fire-i application). Fixed: Rare crash of miniport OHCI driver in multicore or multripocessor systems. Fixed: Rare crash on IIDC camera driver when booting system with cameras connected. Added: support for absolute camera registers in DLL interface (UB1394.DLL). Added: software absolute support for Unibrain cameras in the DLL interface (UB1394.DLL). Fixed: Firenet driver installation glitches in modified setup. Fixed: Camera license tool x64 cannot license WoW apps in Win x64 OS. Added: Some features in Fire-i X SDK, details here. Added support for Licensed version of Fireboard800 Pro Dual adapter. Fixed: some ubCore upgrade issues when an older verion is already installed. Added support for RAW formats in 64 bit version of Fire-i IIDC app. Added software absolute shutter support for Unibrain Fire-i board Pro and industrial cameras. WHQL Signed Windows 7/Vista/XP drivers. Fixed: ubohci driver crash when receiving jumbo-packet frames from a high resolution camera. Fixed: Problem saving frames from Little-Endian cameras (IIDC driver). 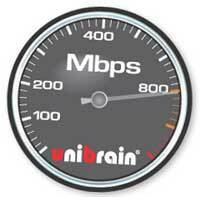 Added support for Unibrain Fire-i 980 5 Mpixel 1394b camera (IIDC driver). Added support for Windows 7 beta (build 7000 or later). Fixed: Multiple sleep/resume cycles with SBP2 devices connected may lead to system crash. Fixed: Fire-i application should remember last FPS selected. Fixed: Fidcam.sys IIDC driver must first stop the camera before detaching isochronous descriptors. Firenet driver is not installed by default anymore. Added support for latest LSI 1394b PCI express chipset (FW643-e). Fixed: ExpressCard or PCMCIA adapter removal my cause system crash. Fixed: Restore settings after new install does not work correctly. Fixed: SCSI pass through fails from 32-bit process on x64 OS (SBP2 driver). Fixed: SBM should NOT optimize gap_count when only 1394b nodes are on the bus. Added: Fire-i X ActiveX control/SDK library in ubCore Pro runtimes. Fixed: SBP2 driver crash in volumes larger than 4 TB. Fixed: SBP2 driver fails to recognize multiple external hard drives at boot. Fixed: NMI system crash on certain Xeon systems during isochronous transmit. Fixed: SBM produces gap_count 63 when the zero ping bug is in effect. Added: Support for RAID external hard drive enclosures. Added: Fire-i Ms stack (fidcam.sys) added in ubCore Pro setup. Added: Add capability in CFiCamera to select the video format with a GUI. Fixed: Image streaming freezing periodically at 60 fps (or more) in Firei application. Many improvements and various minor fixes in FireViewer, ubSwitch, FireIIDC utilities. Added: DMA channel multiplexing at the driver level, completely transparent to user mode. Added: NDIS 6.0 support for Firenet driver in Windows Vista 32/64 bit for improved performance. Added: RAW-8 mode support in Fire-i WDM driver and Firei.dll. Fixed: Significant improvement in system stability on Windows Vista when sleeping/resuming with FireNet installed. Fixed: Fatal NMI error during setup on specific computer hardware with 1394b PCI adapters. Fixed: Incorrect isochronous timeout handling causes OS resource leaks on x86/x64 systems. Fixed: Serial Bus Manager driver now supports more than 4 firewire adapters. Fixed: IIDC camera driver (UBDCAM.SYS) sets initial max packet size for Format 7 correctly. Added: DMA limit for iso operations based on operating system and hardware. Added: IIDC camera driver (UBDCAM.SYS) automatically breaks image iso requests according to DMA limit. Added support for LSI (Agere) FW643 1394b to PCI express chipset. Added ISO command in FireCommander for performing isochronous operations. Fixed: system crash when doing multiple concurrent isochronous receives. Singed drivers for Windows Vista 32 and 64 bit editions. Added: x86 FireAPI applications can run on x64 systems. Added: Complete and improved redesign of the installation engine. Fixed: IIDC drivers fail to operate with cameras that fail read/write requests with resp_conflict. Fixed: Improved support for AVT Pike 1394b cameras. Fixed: High resolution image streams cause IIDC driver video to halt. Added: Windows Vista (32 bit) support. Added: Custom Configuration ROM contents (virtual devices). New improved SDK license/activation utility. Added: Ability to change the maximum address range size. Added: Multiple freeing of Map Registers by ubohci.sys. Fixed various issues in the isochronous engine. Added support for Oxford 922 RAID external hard drives (SBP2 driver). The drivers are now compliant with 1394 Trade Association Base 1394 test. Full Windows Plug & Play support. Easy switch between Unibrain and Microsoft driver via a single click (“ubswitch” application). Added IIDC 1394 cameras DirectShow WDM compliant driver and control application. Added support for FireBoard 400-OHCI card. Added support for IIDC cameras. Added support for Windows 98SE. Supports Kernel mode for driver development. Support User mode for application development. Support for FireWire Networking (Firenet driver). Added Fireviewer and FireCommander tools.